The Liebster Award! | RAWR BOWS. Hello everybody! 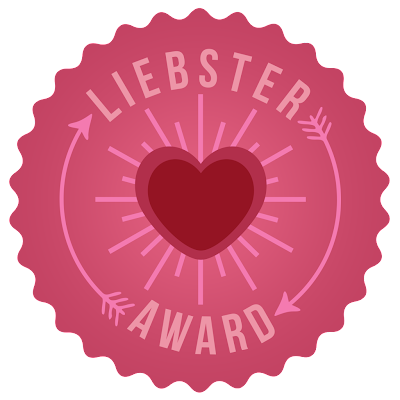 So, the other day the lovely Phoebe from Phoebe's Diaries nominated me for a Liebster Award so THANK YOU so much! This award is for bloggers with under 200 followers, it helps them to grow and get noticed by other bloggers. Having somewhere to share what I love and having something to do whenever I get bored. Both? I think in most cases books tend to be better than the movie but I rather watch movies than read so I can't choose. 3. If you could, what would you change about the world? I would stop all the wars... it's what makes me the saddest, mainly because of the kids. I myself can't imagine how bad it has to be to be afraid to die every single day. Nah.... I'm pretty average in that way. 5. Who's your ideal partner? 6. If you could only bring one thing to a desert island, what would you bring? I don't have a defined first memory. But one of the earliest memories I have is telling someone in school that 'my animal' (everyone in my classroom was an animal) was an elephant. I think I was 4 or 5 years old. 9. Where would you go if you could travel in time? The future, I don't really know which year but maybe 2100. I wouldn't like to go too far in the future because who knows if it would be safe, maybe there are aliens who want to kill me. Also, I wouldn't like to go to the past as I don't see the point as I already know what happened and how life was and to be honest, it is not very appealing to me. Plus when you go to the past you have to be very careful not to change anything so that everything stays they it is when you go back to your time, however that's not a problem in the future. 10. If you could spend the day with any fictional character, who would you pick? Hermione, she was (and still is) my favourite character in Harry Potter and how cool would it be to be able to see someone doing magic and weird stuff. Like, she could make me fly and all that cool stuff. And maybe I would get to go to Hogwarts and OH MY GOD that would be amazing! 11. What actor would you want to play you in a movie about your life? 2. Who/what are your biggest influences? 4. If you knew today was your last day on earth what would you do? 5. Are you afraid of spiders? 6. High-street or high-end? Why? 8. What are your summer must-haves? 10. (Phoebe asked me this one but I found it very interesting so I'm copying it) Where would you go if you could travel in time? 11. If you were millionaire for a day what would you do?